Though Best Buy already announced its Black Friday sales, the U.S. retailer has unveiled a few additional surprises and has refined its offerings both online and in-store. Macs, iDevices, an Apple TV, an iTunes Gift Card, and countless accessories can be purchased for a discounted price as part of the one-day shopping event. 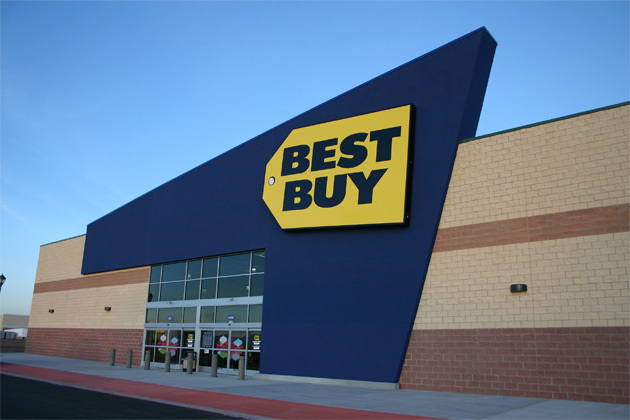 First, Best Buy's Black Friday sale will run through Saturday until midnight, or until stocks last. 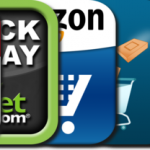 Products appear to be selling fast, and as such customers are advised to pick up Black Friday deals as quickly as possible if they're indeed interested. But what's on offer? MacBook Pro with Retina display models can be purchased for $200 off in the 13-inch variant, and $150 off for the 15-inch model. There's also $200 off the non-Retina MacBook Pro, and $150 off both the 11- and 13-inch MacBook Air. Plus, iMacs can be purchased for between $150-200 off (depending on the model selected). Best Buy is offering the Apple TV for $15 off its usual price of $99, and a $100 iTunes Gift Card is available for just $85. In-store only, Best Buy is taking $100 off the price of Apple's iPad 2, and the iPhone 5c is on-sale at $48 (with a two-year agreement). Finally, the U.S. retailer is offering the iPhone 4s free on-contract, too. 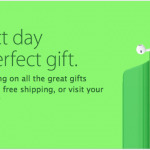 Last but not least, a large number of iDevice-compatible accessories can be purchased at a discounted price from Best Buy, and these include at least 10 percent off Dr. Dre Beats headphones, $30 off LifeProof cases, $30 off Mophie battery-powered iPhone cases, and $20 off Griffin Survivor iPad cases. Phew! In the United States, retail stores are opening earlier than usual in order to better accommodate Black Friday shoppers. If you're interested in taking a look at the retailer's in-store offerings, be sure to get there early in order to avoid disappointment! See also: Create And Share Dynamic Video Diptychs With Peak Systems' Diptic Video, Ride The Sleigh Of Awesome Or The Strong Arm Machine In Jetpack Joyride, and Apple Now Offering Discounts For Black Friday In U.K. And Other European Countries.